Actavis Paracetamol 500mg Film-Coated Tablets are an effective pain relief medication containing paracetamol. 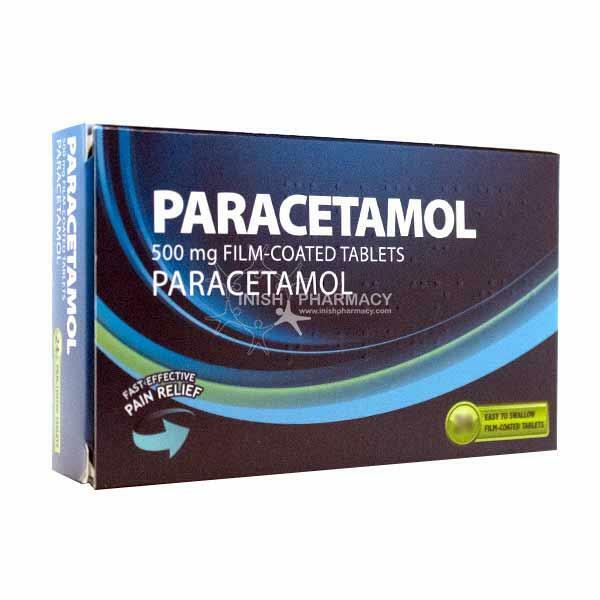 Paracetamol tablets fight against pain such as headache, muscle pain, backache, toothache and period pain. This medication also reduces fever and pain associated with colds and flu. You Must Be Aged Over 18 Years to Purchase This Product. Maximum order quantity of two packets per order. Adults and children over 12 years’ swallow 2 tablets with half a glass of water every 4 to 6 hours as required. Do not take more than 8 tablets in any 24-hour period. Actavis Paracetamol 500mg Film-Coated Tablets are a pain relief medication containing paracetamol. Pfizer Paracetamol fights against pain such as headache, muscle pain, backache, toothache and period pain. These tablets are gentle on the stomach. This medicine can be used adults and children over 6 years old. Adults and children over 12 years’ swallow 2 tablets with a glass of water 3 to 4 times a day as required. Do not take more than 8 tablets in any 24-hour period. Maximum order quantity of two packets per order. This medication should not be taken while pregnant or breastfeeding unless advised by your doctor. This medication should not affect your ability to drive or use machines. There are no common side effects associated with this medication however if you experience any side effects please contact your doctor right away.